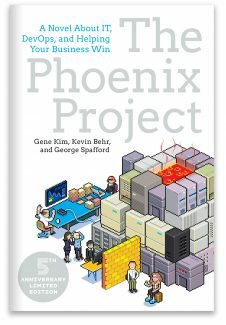 This highly anticipated follow-up to the bestselling title The Phoenix Project takes another look at Parts Unlimited, this time from the perspective of software development. With The Phoenix Project we learned about the Three Ways. Now with The Unicorn Project, Gene Kim introduces the Five Ideals. 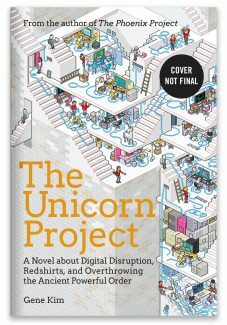 In The Unicorn Project, we follow Maxine, a senior lead developer and architect, as she is exiled to the Phoenix Project, to the horror of her friends and colleagues, as punishment for contributing to a payroll outage. She tries to survive in what feels like a heartless and uncaring bureaucracy and to work within a system where no one can get anything done without endless committees, paperwork, and approvals. 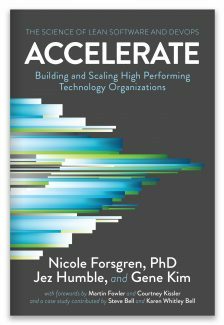 One day, she is approached by a ragtag bunch of misfits who say they want to overthrow the existing order, to liberate developers, to bring joy back to technology work, and to enable the business to win in a time of digital disruption. To her surprise, she finds herself drawn ever further into this movement, eventually becoming one of the leaders of the Rebellion, which puts her in the crosshairs of some familiar and very dangerous enemies. 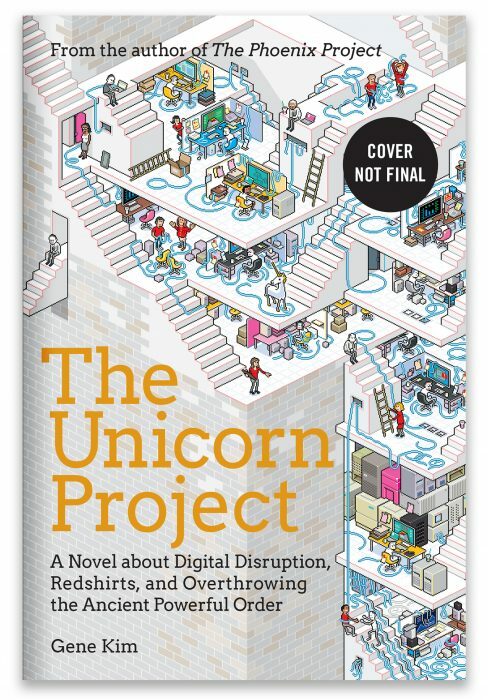 The Age of Software is here, and another mass extinction event looms—this is a story about “red shirt” developers and business leaders working together, racing against time to innovate, survive, and thrive in a time of unprecedented uncertainty…and opportunity. 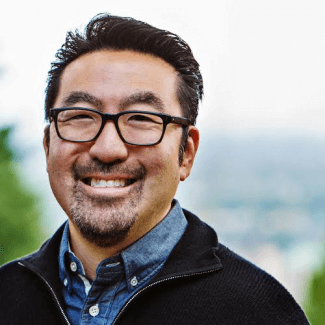 Gene Kim is a multi-award winning CTO, researcher, and author. He is the founder of Tripwire and served as CTO for thirteen years. 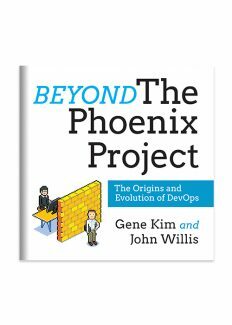 His books include the bestselling The Phoenix Project and The DevOps Handbook, the highly anticipated The Unicorn Project (coming 2019), as well as Beyond the Phoenix Project, Accelerate, The Visible Ops Handbook, and Visible Ops Security. 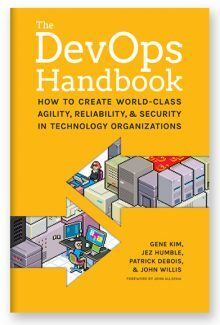 Gene is a huge fan of IT operations and how it can enable developers to maximize throughput of features from “code complete” to “in production” without causing chaos and disruption to the IT environment. He has worked with some of the top Internet companies on improving deployment flow and increasing the rigor around IT operational processes. In 2007, ComputerWorld added Gene to the “40 Innovative IT People to Watch Under the Age of 40” list, and he was named a Computer Science Outstanding Alumnus by Purdue University for achievement and leadership in the profession. Follow Gene on his website or on Twitter @RealGeneKim.